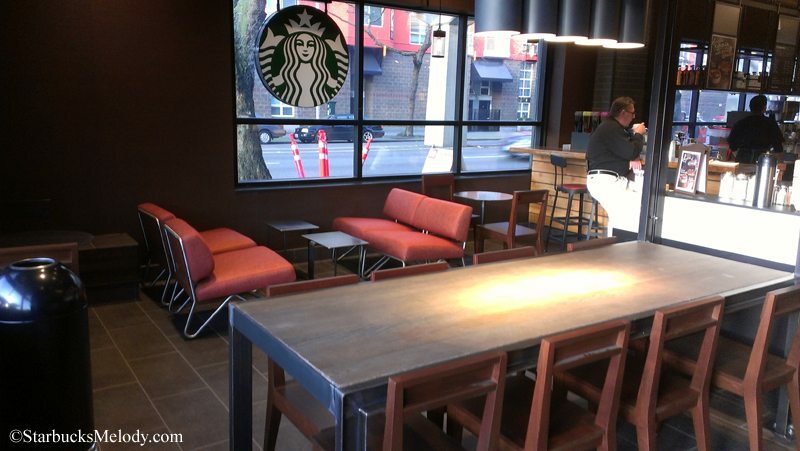 There is a brand new Starbucks in Seattle’s Belltown neighborhood. 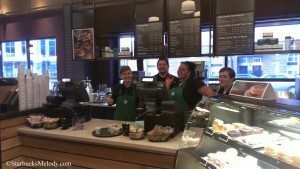 This store had its grand opening on March 4, 2013, at 5:00 a.m. I dropped by on opening day, and took some photos. It’s gorgeous. I love the wood encasing the espresso bar and register area. 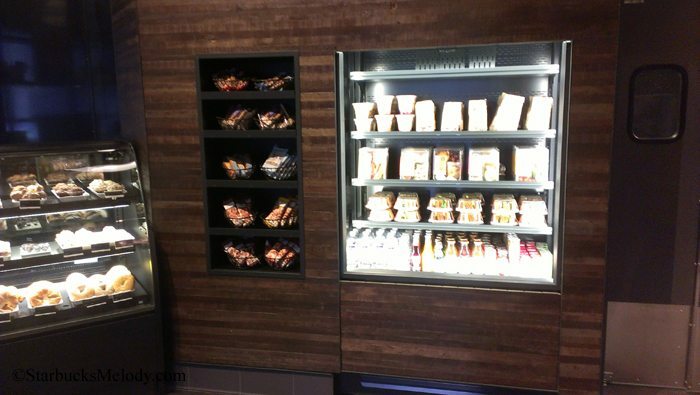 I like the stylish cold case built into the wall. I love that it has a spacious lobby with a community table, booths, and windows looking out at Fifth Avenue in Belltown. The store is located on the corner of Fifth and Battery. 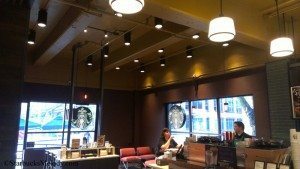 Seattle’s famous Monorail runs along Fifth Avenue in Belltown, and so you can see it from the store. It’s also just a short distance from Seattle’s iconic “Pink Elephant Car Wash,” which features a neon pink elephant that has been there since 1956. This Starbucks is just a short walk to a number of iconic Seattle structures. 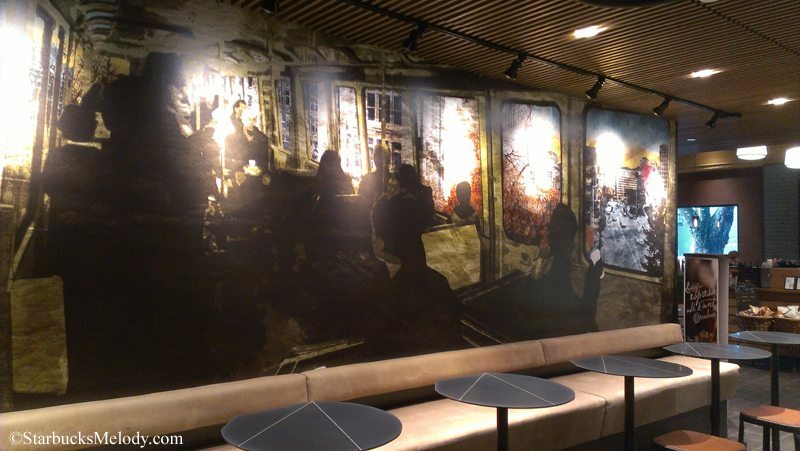 One of the most striking things about this store is the mural on the back wall seating area. 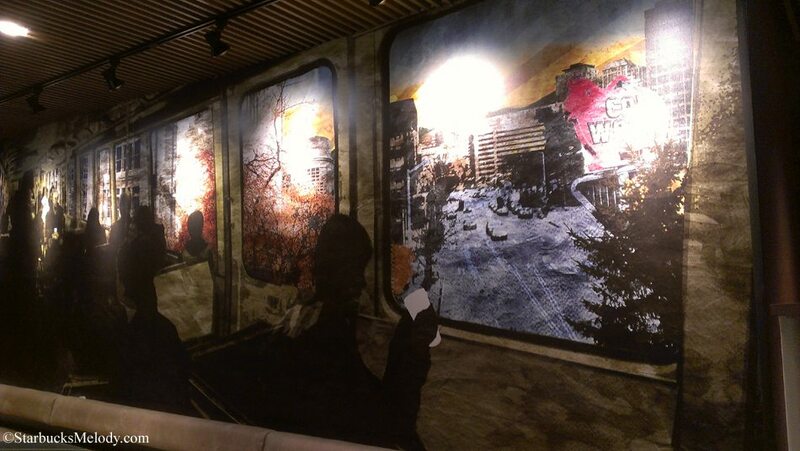 Starbucks commissioned a local artist who created an artistic rendition of the sights of Belltown, as seen from the Monorail. 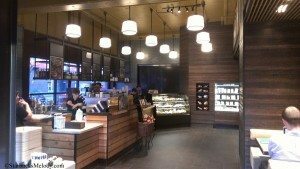 The Starbucks store design team really put a lot of TLC into this store! 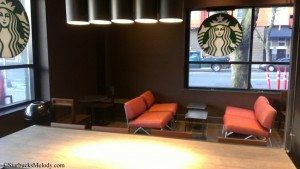 (Whether a store is licensed or company-operated, Starbucks store designers from the headquarters are involved in its design.) By the way, I love the ceiling lights too. 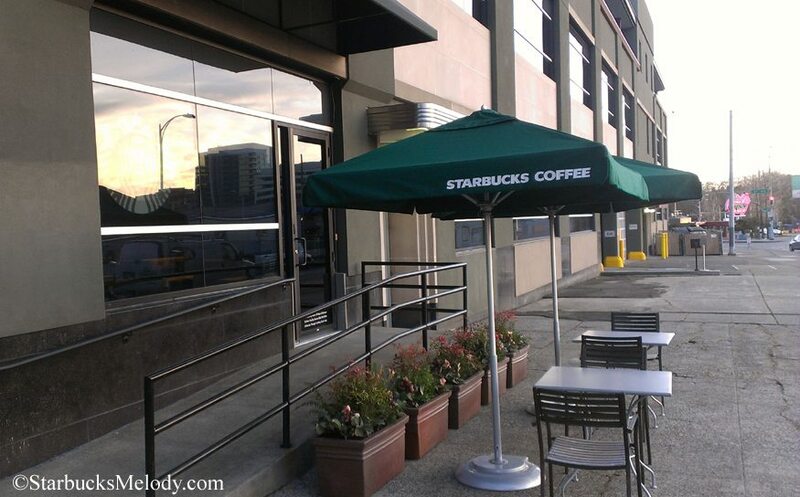 The actual address is 521 Wall Street, Seattle, Washington, 98121. (The actual building extends the full block, from Battery Street to Wall Street.) The store hours are fairly long. Monday through Thursday, the store is open from 5:00 a.m. to 10:00 p.m. The store will be open 7 days a week, with the shortest hours on Sunday, closing at 4:30 p.m.
Great pics Meldoy- The mural and lights are just wonderful. 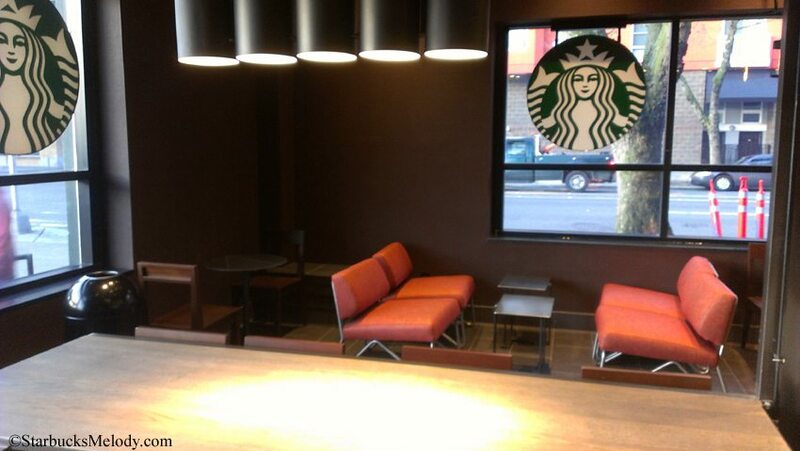 Those couches are in a fairly newly remodeled SB store in my area. 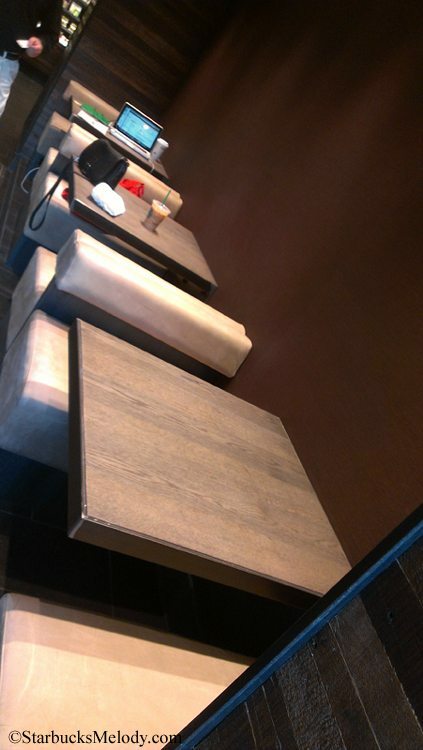 I guess they have become standard issue for remodels? Would never have guessed it was a licensed store. Is there a clover? Only 2 blocks away!! Now I’m 1/2way between 2 SBX! This new one is nice for when I go to my bank machine on 6th & Battery. 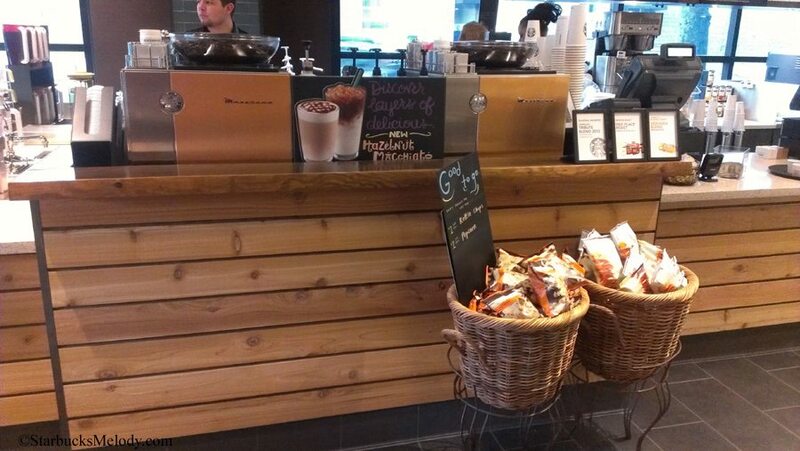 I’m looking forward to the Hazelnut Macchiato, too! Thanks for the heads up! Melody, such a cool–chic, refined, slightly rustic, and modern look! 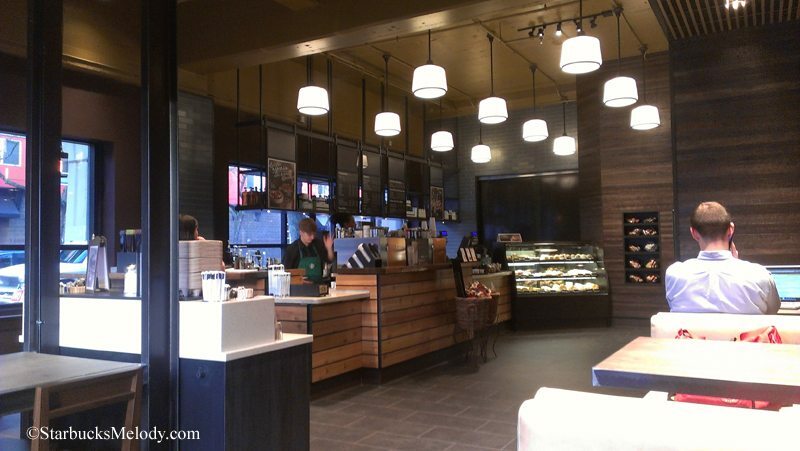 Thanks, you make me want to travel to other citiiiiiiiees…….and check out more Starbucks stores! 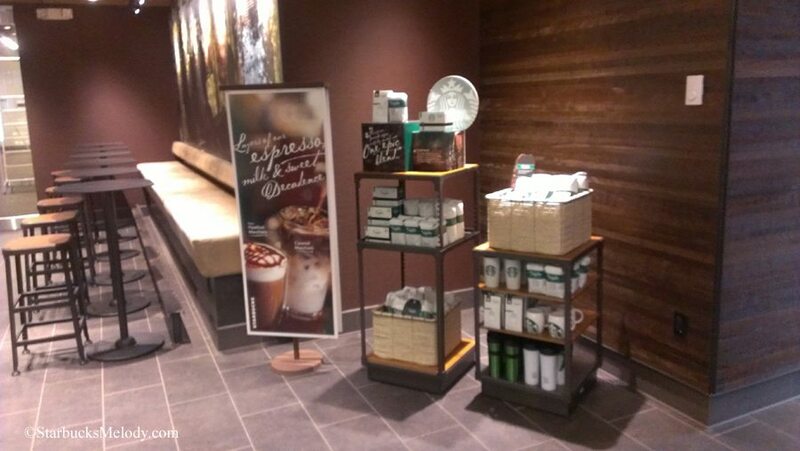 @Purple1 – This isn’t a Clover store. 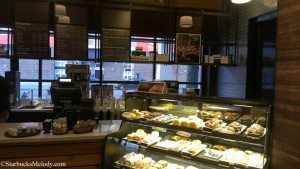 I have heard of a couple of licensed Starbucks which have Clovers, so it is possible but this is not one. @Molly – I was thinking of you the entire time I wrote this! This is not far from your business! Why is this a licensed store? What facility is it nominally serving or a subset of? @CalWatch – Good question. The building itself has a lot of history, but at least right now it is housing a branch of City University. It looks like the store was mainly placed for the benefit of City University. Though the thing of it is, in Seattle, there are times it can be very tricky to know what’s licensed or not. 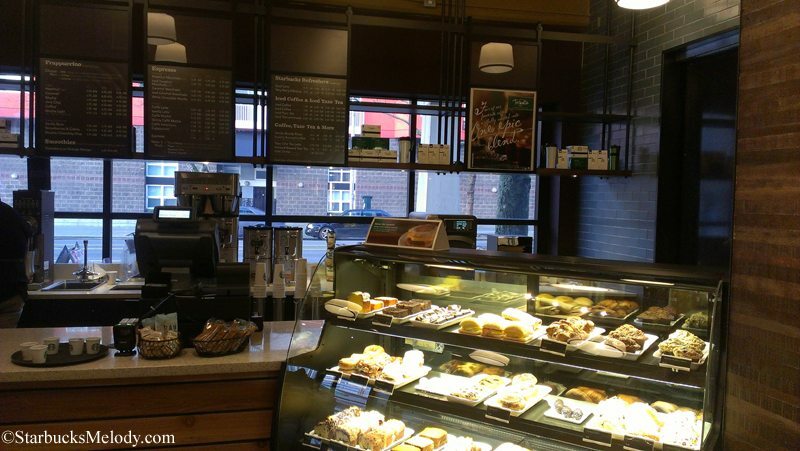 There isn’t a solid reason why this couldn’t have been a company-operated Starbucks. ^ That is literally inside a hospital in Seattle. Hospital Starbucks are almost always licensed, but that IS a company-operated store, deep inside a hospital in Seattle.